The perfect Rhode Island gift! 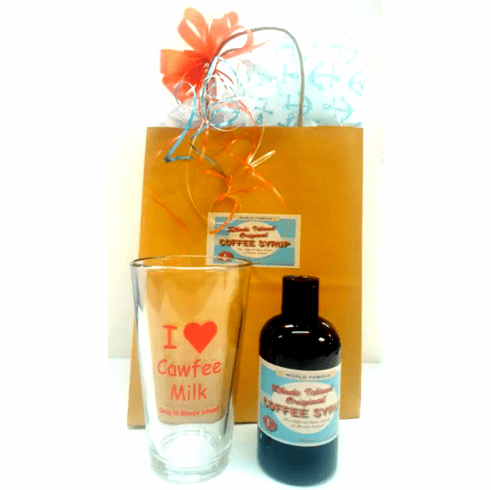 Our Exclusive 'I Heart Cawfee Milk' pint glass, paired with Rhode Island Original's delicious 8oz coffee syrup! Presented in a Rhode Island Original Coffee Syrup gift bag, with our own Anchor tissue, this is about as Rhode Island as it gets!